I hosted a plant swap recently (you know I love gatherings) and it was such a fun night. All of the ladies that came seemed to have knowledge of different plants and I feel like we all got to learn something. I've struggled with succulents in the past (I know, I know... they're easy) and I'm having my first bit of success with propagation. It's a small success, but exciting just the same! Can you see the baby roots sprouting out? 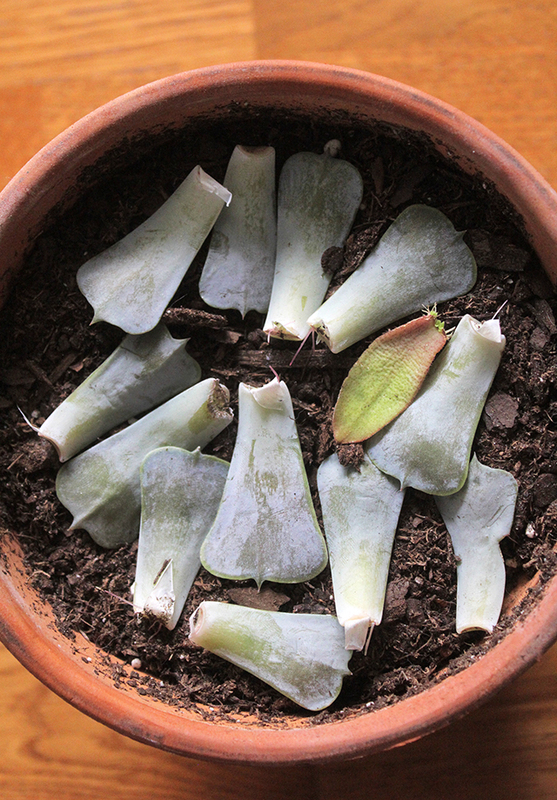 I've become a little obsessive and probably check them everyday, but like I said-- this is the first time I haven't killed the babies immediately! Yay! 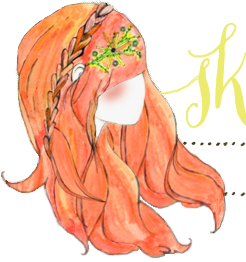 Basically, I just needed to stop "taking care of" the leaves and just let them be. When they would start to shrivel, I was certain they needed water. Nope! They were forming roots and new babies. Dry soil is your best friend here. Thanks to all my IG friends who have answered a million of my questions! 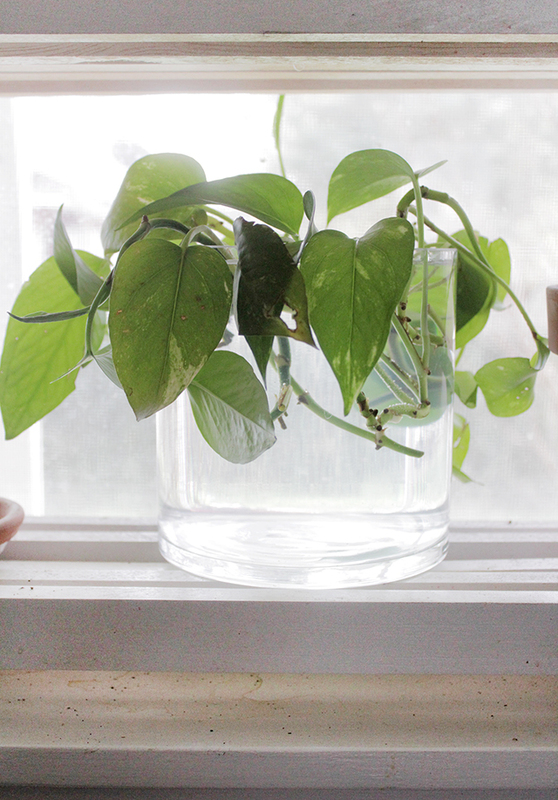 I also learned that you can propagate Pothos cuttings in water. It's recommended to plant them in soil after they start sprouting roots so they can adapt to soil a little more easily. I have a ton of this plant around my house, so I'm excited to start sharing babies with friends! I'm testing out some other propagation methods on various plants, so I'll let you know how they go in the coming months. 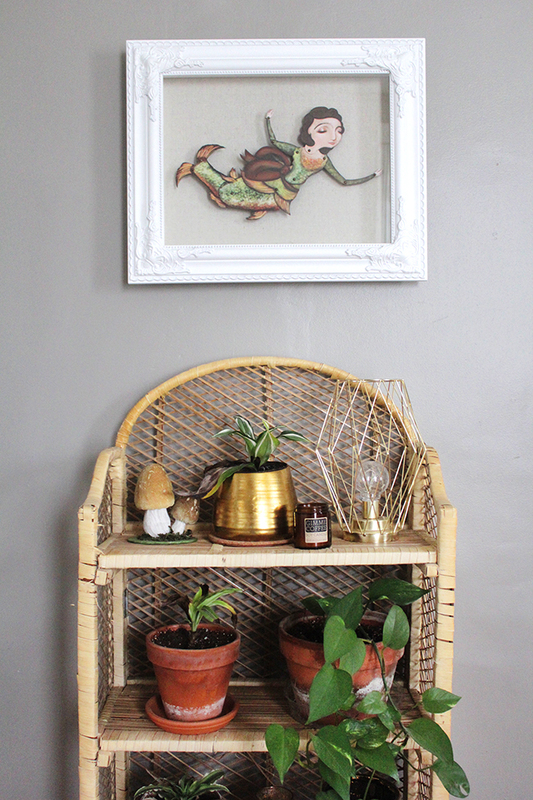 Do you have favorite plants to grow indoors? I feel like I'm finally getting the hang of the trickier (for me) plants. It's all a learning process, right? xo. Oops! Seems like I also watered my succulent petals when it wasn't necessary. Now I know! A plant swap sounds like a lot of fun! Girl, we kill succulents all the time. I don't get what everyone else is doing that we're not! lol We're trying again this year. We do have a thriving aloe plant though!! It comes in handy a lot. Esp. for summer! Good luck with your lil green guys!! My latest obsession has been regrowing from kitchen scraps! I've sustained a pineapple for a few years, and I'm always trying to root more tops- they're succulents so I've smothered my fair share too. I almost always have a water glass overflowing with green onions from the produce section, and thank goodness it's spring so I can move those stinkers outside! Lettuce, celery, avocado pits...it's really fun to see how long I can make my groceries last.